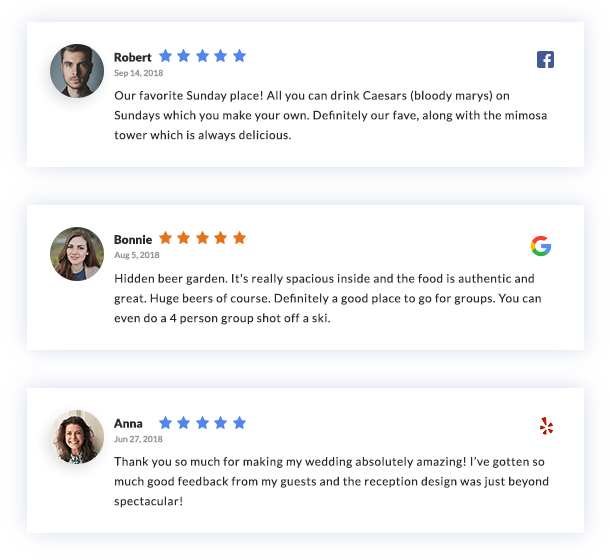 Showcase your Google and Facebook reviews directly on your website with our easy to use widget. Customize it to match your site's layout and start displaying reviews in minutes! 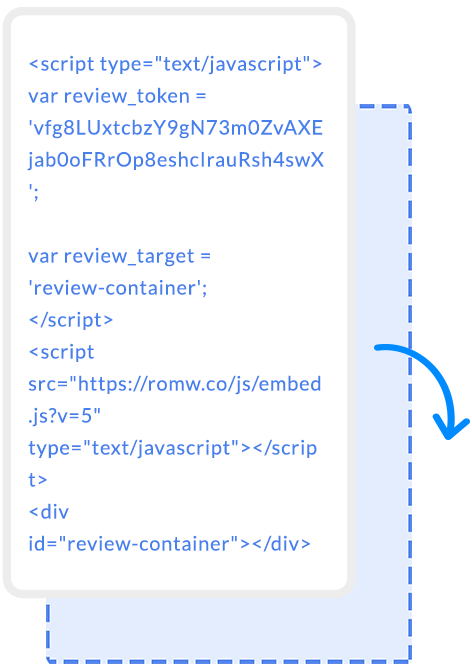 Embed the widget code into your website where you wish the reviews to show up and that's it! 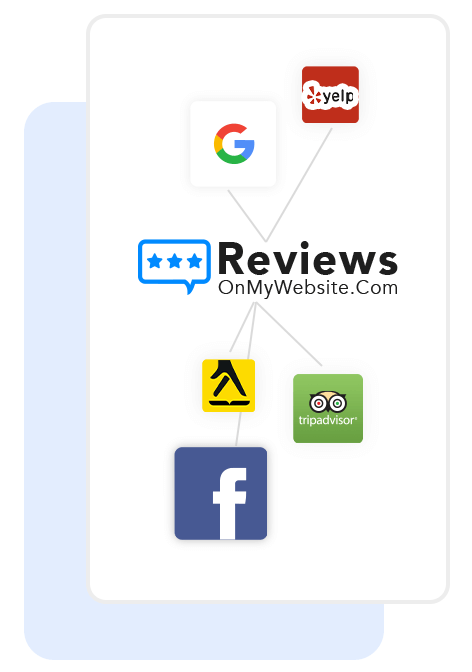 Aggregate your business reviews from Google, Facebook, Yelp and Yellow Pages and display them all with a single widget. Our reviews widget works on any screen resolution, has responsive design and mobile-ready functionality. Choose whether you want to show or hide the reviewers' thumbnail, limit the number of reviews that are displayed and more. Our system will automatically check for new reviews posted on other sites and add them to your widget. Select from a variety of different layouts to display your reviews! From a simple list to a multi-column grid to a rotating slider. Our widget works through HTTPS protocol for high security protection on any website. 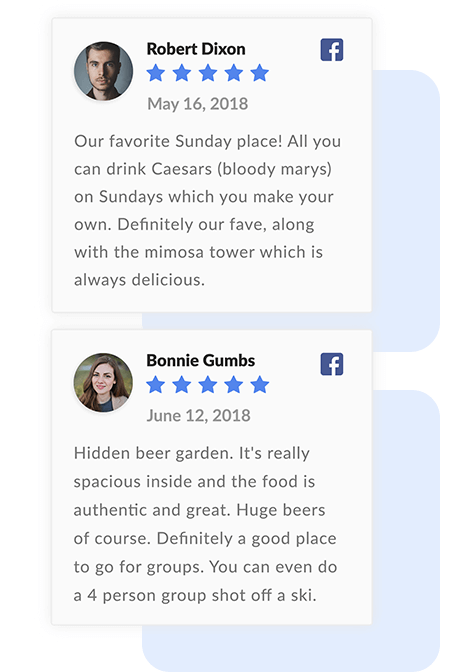 Hide negative reviews with low ratings from the display. Get notified by email when our system finds a new review and adds it to the widget.